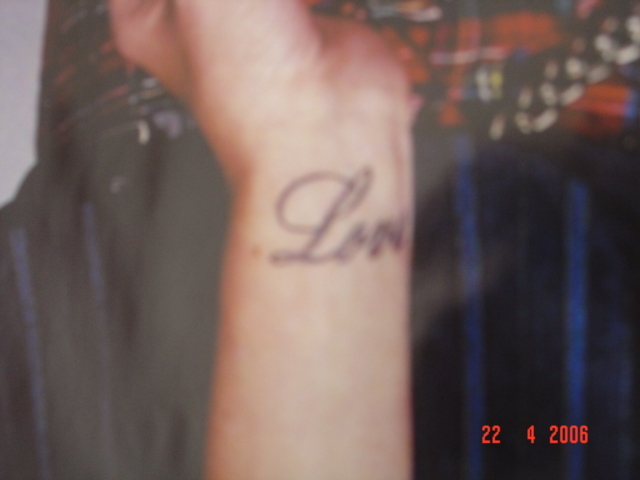 The Veronicas were on Rove Live on Anzac Day….25th of April 2006. Here I have included a few key points in the interview. 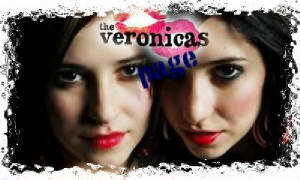 The Veronicas enter waving and smiling happily. Rove invites them to sit on the couch and Lisa happily picks out an M&M from the goodies bowl on Rove’s table. Jess happily does the same. One thing they talked about was how they got pumped before they went on stage. The Veronicas chant a special word for the day with the usual bits. They commented about Archie Comics not being happy about their band name, and Jess said that they were “stoked that Archie Comics was talking to them”. Rove had a copy of the comics and Jess sees the picture of them and automatically says” See I’m the hot one and that one’s the ugly one”. The girls have spent 11/2 years in LA. The Veronicas go out in public in their PAJAMAS!! They buy their tracky dacks from Best and Less. 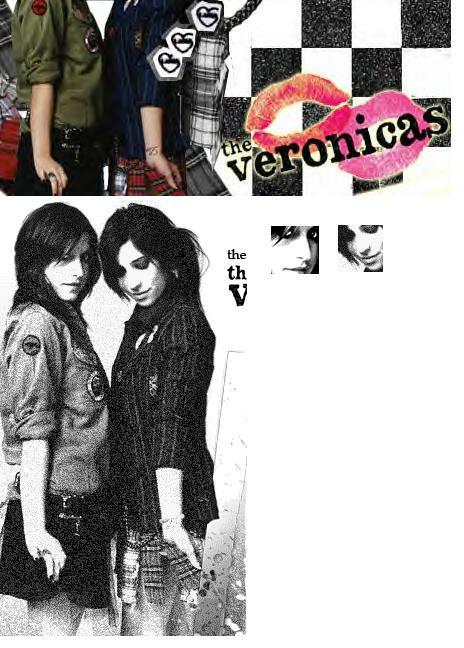 Jess and Lisa are The Veronicas!! Jessica and Lisa Origlasso were in "Cybergirl" in 2001! Their birthday is on the 25th of December 1985! Their parents are Colleen and Joseph! 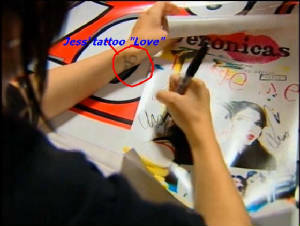 Above are pics of Jess' tattoos and a pic of the Veronicas' house in LA! 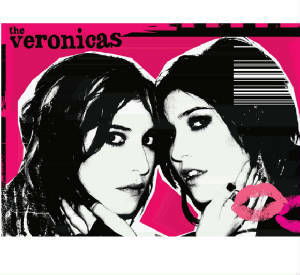 The Veronicas are the Brand Spankin' New Artiste of the Year winning at the AVMAs just a couple of days ago!!!! They also won BEST CLIP OF THE YEAR!!!!! Jess and Lisa used to be part of a band called Teal. 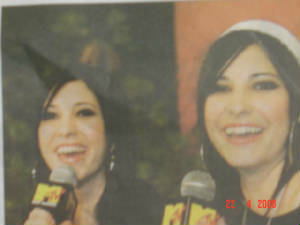 Born to Italian parents Colleen and Joseph, these gorgeous girls have rocked Australia and the US!!!!! Local talent from Bris- vegas is now WORLDWIDE!!!!!!! The Veronicas-- Jess and Lisa are not that hard to tell apart once you know which is which: Jess has two tatoos one on her hand and one on her back. Jess is taller by an inch and it is Lisa currently who has streaks in her hair. Jess also has a nose and a new mouth piercing! Lisa is the younger twin.